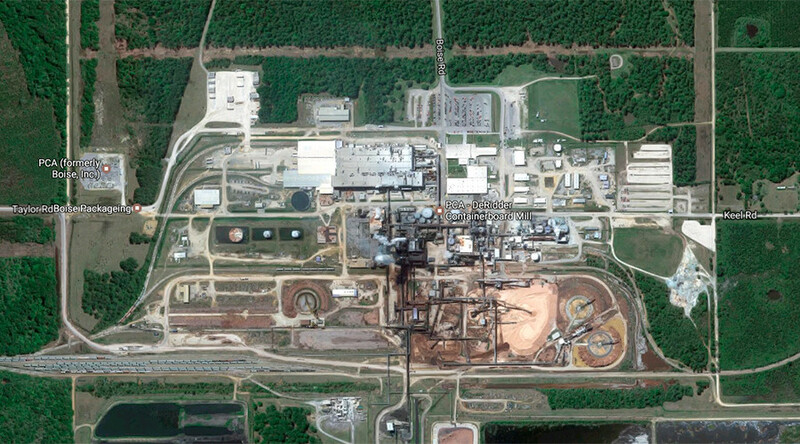 An investigation is under way after an explosion at a Phillips 66-owned natural gas pipeline in Paradis, Louisiana, injured two workers while another remains missing. 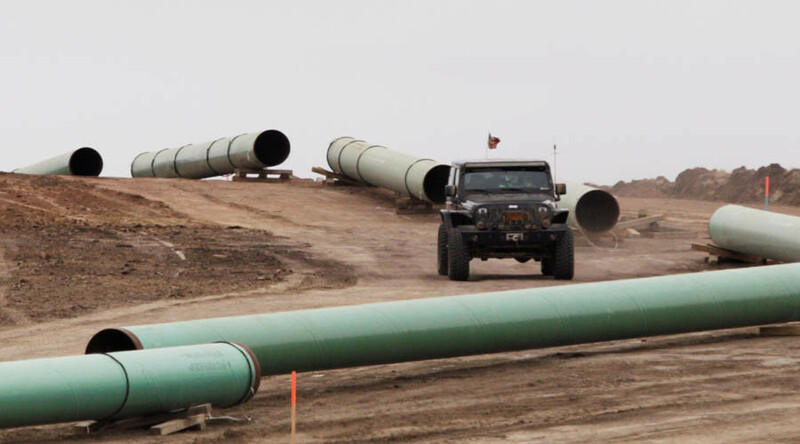 Parts of the nearby area remain evacuated as the pipeline continues to burn. Authorities do not know what caused the fire at around 7:00pm EST Thursday evening. Workers blocked off the 20-inch pipeline at various points, according to a statement from Phillips 66 early Friday morning, The Times-Picayune reported. St. Charles Parish Sheriff Greg Champagne said gas remaining in the line is "burning clean" but could continue to "burn for days." "This could burn for hours, this could burn for days," Champagne said during a press conference, according to the New Orleans Advocate. "It is a large blowtorch at this point and time. It's burning clean. But it's not safe to go near it." 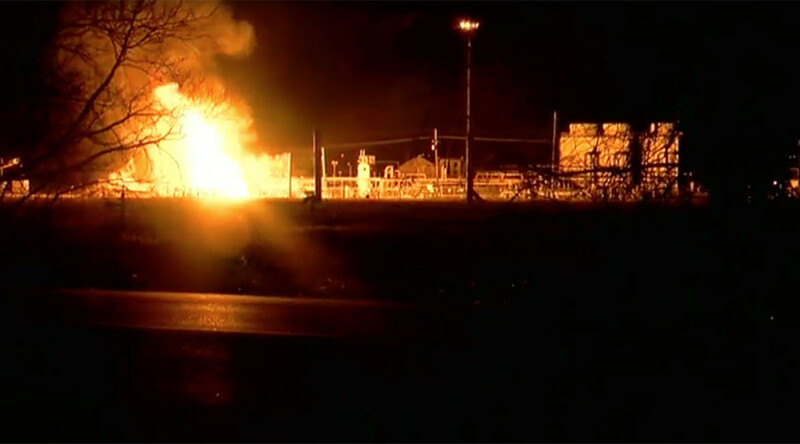 Six workers, three employed with Phillips 66 and three contractors, were cleaning the pipeline when the explosion occurred. Two contractors were taken to a nearby hospital with burns; one of them was eventually flown to a burns unit in Baton Rouge, Champagne said. 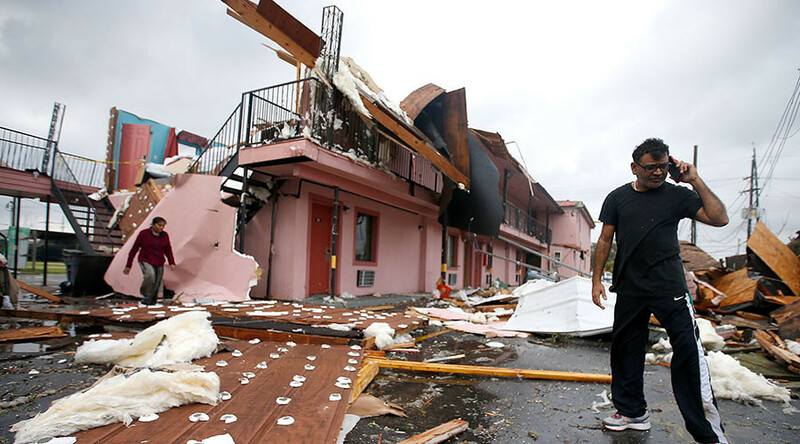 Three workers were treated at the scene, the Times-Picayune reported. One Phillips 66 employee remains missing as of early Friday morning, the company said. Champagne said the hope is that the worker "just wandered off" following the explosion. The fire, at the Paradis Pipeline Station near the Williams Discovery Plant, closed off nearby Highway 90 and Highway 631 in both directions, according to reports. Highway 90 was eventually reopened. Around 60 homes within a couple miles of the fire were evacuated. The evacuation order was lifted for homes east of Highway 635 at about 10:30pm on Thursday, while homes west of the roadway remained under the order as of 8:00am on Friday. An investigation into the cause of the explosion is underway, according to Louisiana State Police Troop B spokeswoman Melissa Matey. Champagne said the fire has reached as much as 40 feet high. "It is a very high pressure fire. High intensity. When you get close to it, it is singing," he said, according to the Advocate, adding that the fire does not pose an environmental danger. Paradis is about 30 miles west of New Orleans.